Get ready for the most 'Brighton' welcome in town: our colourful, modern reception area has been designed with the help of a local artist, so you'll arrive to iconic images created by emerging talent. ibis Brighton City Centre prides itself on a stellar service around the clock, with our Extra Smile Team working 24hrs to make sure guests' needs are always met efficiently. It's all at your feet: close to both the station and the beach, we're within easy walking distance of Brighton's many bars, restaurants, shops and attractions including North Laines, Brighton Dome and the iconic Royal Pavilion. Feeling peckish? You don't have to leave the hotel: inspired by the spirit of global adventure, the menu at Fogg's is loaded with everyone's favourites from tasty pizzas and salads to fragrant soups and diner-style comfort food. Unwind with a coffee, sip a chilled sauvignon or bond over a beer or two. 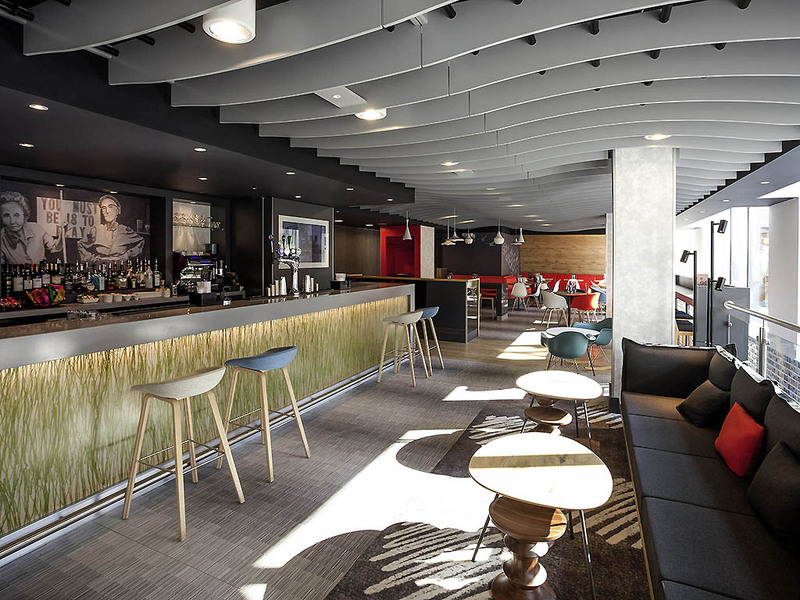 Our stylish on-site bar is the perfect place to kick back and relax or spend quality time with your travel companions.